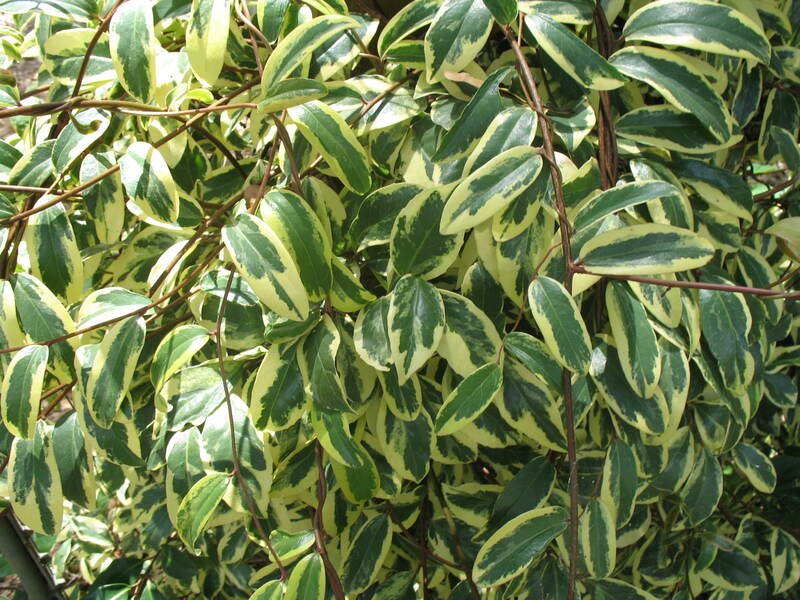 Comments: This vigorously growing evergreen, variegated, flowering vine is an excellent choice for growing on an arbor, post, fence or other sturctures. It does not attach itself to adjacent vertical surfaces. Its leaves scorch in hot sun. Produces red fruit only when both sexes are present in a garden.